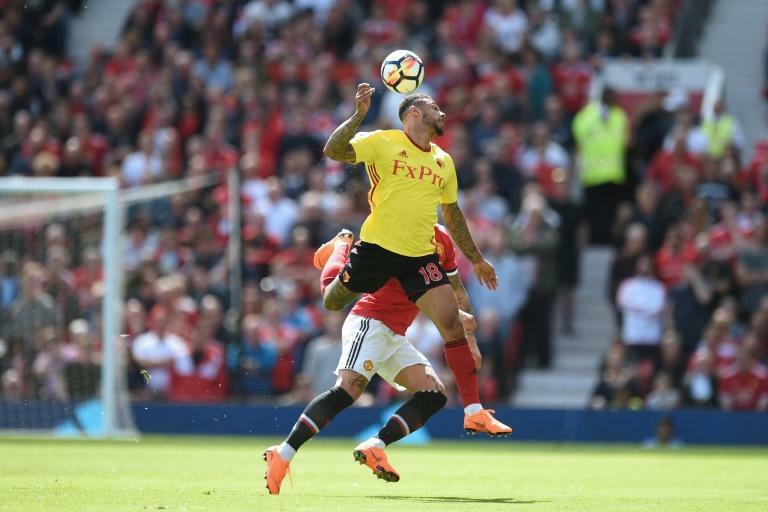 Watford maintained their 100 percent start to the Premier League season as Andre Gray returned to haunt Burnley in a 3-1 win at Turf Moor on Sunday. Former Burnley forward Gray struck in the opening minutes and although James Tarkowski equalised for Burnley soon after, but Javi Gracia's side turned on the style in the second half for a second successive victory. Troy Deeney put Watford back in front before Will Hughes wrapped up the points to leave Burnley still looking for their first league win of the new campaign. It was a rare away-day success for Watford, who had picked up just one point in their previous 12 Premier League trips. Watford had not scored an away league goal since January 2, a run of eight games. But Gray, who left Burnley for Watford last year, got the Hornets off to the perfect start in the third minute. As Watford attacked down the right, Gray peeled off to race undetected into the box, meeting Deeney's cross with a sweet volley. Gray had barely finished celebrating the strike when Tarkowski responded, rising to nod home Johann Berg Gudmundsson's cross at the far post in the sixth minute. Watford took control after half-time, netting twice within five minutes of the restart. It was veteran forward Deeney who started the power surge, latching on to a superb defence-splitting pass from Abdoulaye Doucoure to guide his shot past Burnley goalkeeper Joe Hart in the 48th minute. Three minutes later, sloppy play from Matt Lowton turned a Burnley throw into Watford's third. Hughes seized on a loose pass, charged forward and fired into the top corner from 20 yards.